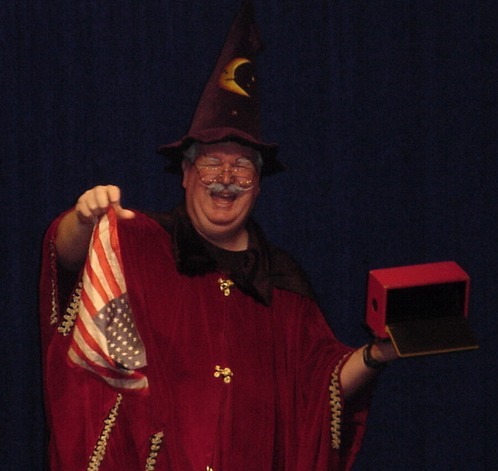 Photos of Dan the Wizard performing at Turner Field in Atlanta (5/22/01) for a special event for children on the 755 Club Level during a corporate outing. 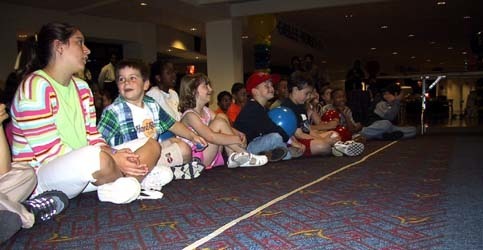 Also performing on the bill was comedian Robert Klein. 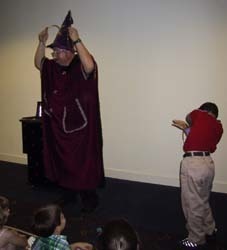 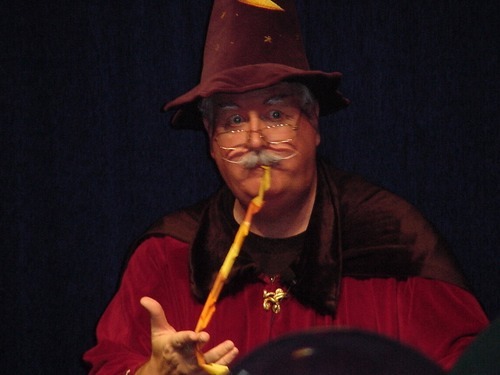 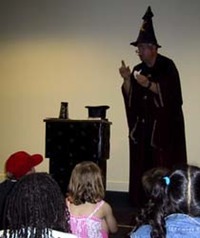 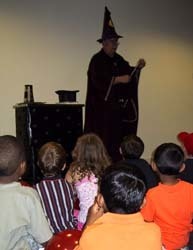 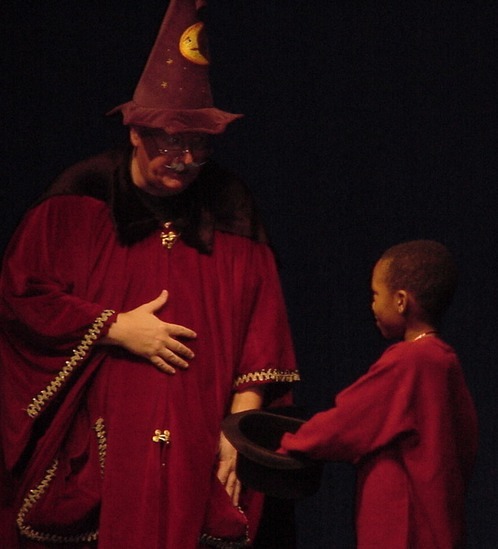 Dan the Wizard performing onstage in Las Vegas.